Applicants to the MBA program at Western Carolina University must submit official copies of transcripts for all post-secondary academic work, an official score report for the GMAT, and two letters of recommendation. A minimum GMAT score of 450 and minimum undergraduate GPA of 3.0 are required. Graduates of institutions in which the language of inst...Applicants to the MBA program at Western Carolina University must submit official copies of transcripts for all post-secondary academic work, an official score report for the GMAT, and two letters of recommendation. A minimum GMAT score of 450 and minimum undergraduate GPA of 3.0 are required. Graduates of institutions in which the language of instruction is not English must also submit official score reports for the TOEFL and achieve a minimum score of 79–80 on the Internet-based test, 550 on the paper test, or 213 on the computer test. International applications are due by April 1 for the fall semester and by September 1 for the spring semester. 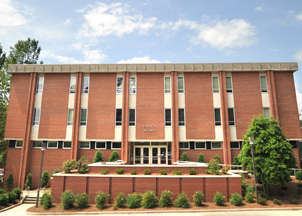 Located in a gorgeous, unique region of the Mid-Atlantic, the College of Business at Western Carolina University has worked hard to distinguish itself from other MBA pro­grams, and has built a “reputation for not being an ‘assembly-line’ program.” Students are encouraged to think for themselves and become effectively “better equipped to deal with future challenges.” The small size of the school means that each student “has good learning opportunities” and “gets a lot of attention” from the “excellent, accessible pro­fessors with relevant professional experience.” All in all, WCU offers a “quality MBA program with experienced, grounded faculty at a great price.” Although the school is based in Cullowhee—“an exceptional environment”—almost all of the MBA courses are held in Asheville. The school is very “oriented towards face-to­face classes” in Asheville and uses very little “new technology” (such as videoconferenc­ing and electronic communications) for its courses. Professors and administrators “do a decent job of being available, considering that the main campus is over an hour away from our location.” Both are “eager to tailoring course material to how students actually learn,” and the professors “are very knowledgeable and have a lot of professional expe­rience.” The program heads and assistants are also “readily available and helpful with any questions that may arise.” The program’s core courses are about mastering management in applied settings; stu­dents form small work groups and are trained to deal with real-world problems Through the school’s new MBA curriculum, developed in collaboration with faculty, recent grad­uates, and local employers, students learn and often perform the functions of chief offi­cers in marketing, research and development, information technology, operations, legal affairs, finance, and the chief executive office. Want more info about Western Carolina University Graduate School & Research Administration Part Time MBA? Get free advice from education experts and Noodle community members.